Construction work has now been completed and the Pier is completely open for diving again. Swanage, on the South Coast in Dorset, has much to offer, with its rolling green hills to one side of the Bay with Old Harry Rocks and Peveril Point and Ledges to the other. Undoubtedly the main attraction for divers is Divers Down, Britain’s oldest dive school, established in 1958. 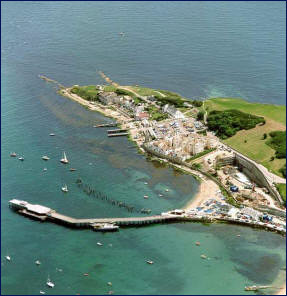 Swanage has always been a popular dive site for all standards of diver and this year Divers Down celebrates its 60th Anniversary. Nestling nicely on the pier to the South of the town, Divers Down has an ideal location, with parking for cars and vans on the Pier and the underwater world lying directly underneath the Pier with copious amounts of sealife attracted by the confines of the wooden pier framework. There are a variety of other dives, deep and shallow including many WW1 and WW2 wrecks which lie in deeper water outside the bay. These include, Kyarra, Betsy Anna, Valentine Tanks, Aeolian Sky, Carantan, Firth Fisher, Venezuela, Hazlewood, Aparema, Avanti, Everleigh, Simla, Smyrna and many more. 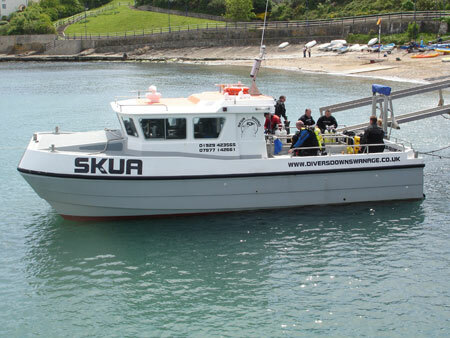 Our Shop on Swanage Pier sells a large variety of equipment including Masks, Fins, Snorkels, Clips, Bags, Bungee, Hoods, Gloves, Boots, Reels, SMB's, Neck Seals, Wrists Seals, Glues and much, much more. We are now taking bookings for the whole of 2018 season - email medina@madasafish.com or text 07977 142661 with all enquiries. We hope you've all had a great winter and are looking forward to the new dive season. information then please do not hesitate to contact us. We have operated these trips for many years now and they are proving increasingly popular with all trips tailored to suit your requirements.